Thinking about how helpful it is to slow down enough to really take in the spirit of our children! Great reminder today. 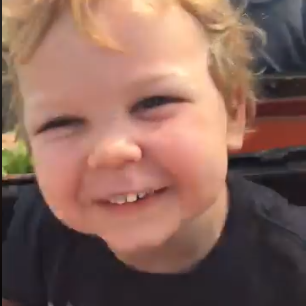 I had a note from a mom of another child at Jake’s preschool today that stopped me in my tracks, and reminded me of this video I shared earlier this week from a few years ago, where Jake’s spirit and love of life are in full display. I’ll be honest…Jake can sometimes be a lot of personality to handle. And manages to get exposed to unpleasant health issues that require vigilance and dedication to conquer. And it’s easy to feel overwhelmed. But, if I really look at him with fresh eyes and “see” him and what an incredible spirit he is…his joyfulness, love of life, the total power and confidence in himself he holds, and his ability to roll with whatever comes at him, I’m reminded too why it is such an honor to be his mom. As my podcast opening says, he does “challenge me to grow into my best self” daily but I wouldn’t have it any other way. What might you need to slow down and notice about your child today? What can you see with “fresh eyes” that makes it all worth it? Sharing in case one of you needs this message today.